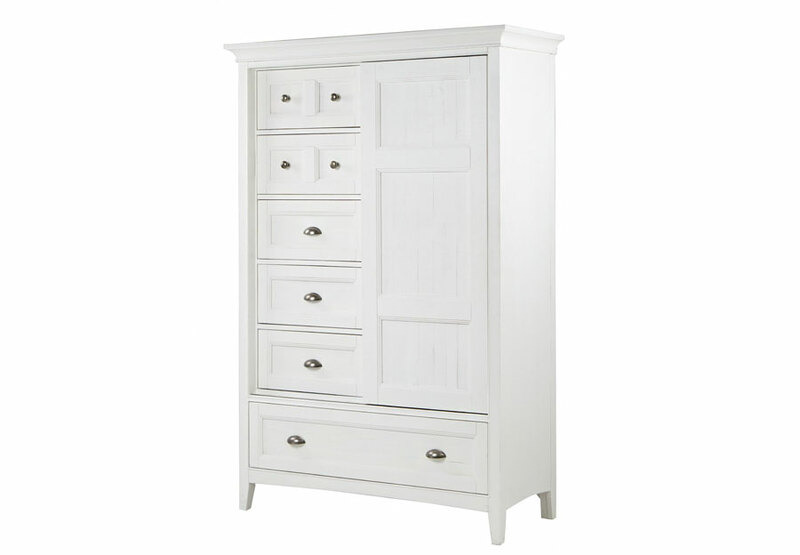 A soft Chalk White finish on Pine veneers and solids creates a relaxed beachy feel in any bedroom with Heron Cove. A high back beaded framed panel bed lends shaker appeal and is available with hidden rails storage. 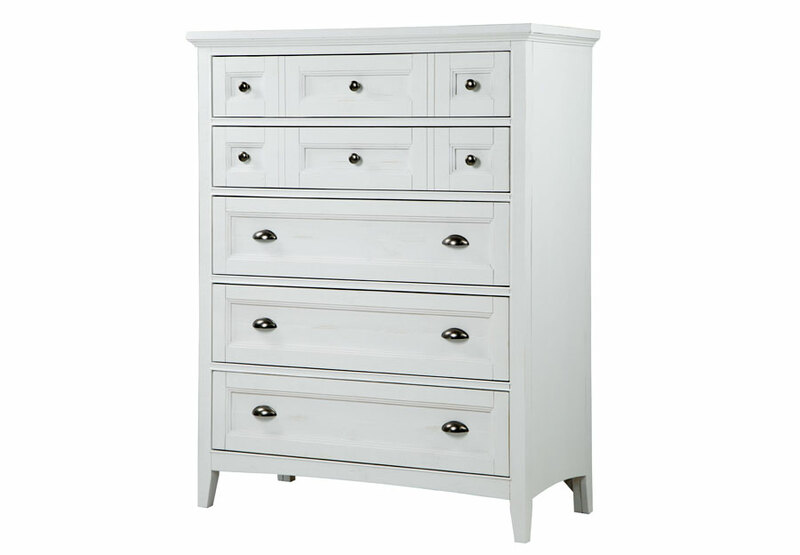 Straight legs support the straight lined chests with raised beaded trim for cottage appeal. Come home to Heron Cove! *Does not include mirror! Drawers with felt lined top drawer.